Worthwhile technology gives you back your time and sanity. If you're running your own business, you know a thing or two about juggling -- working top-speed on numerous projects while trying to find enough hours in the day to get everything done. So when you hear about apps that promise to streamline your life, making quick work of tedious, but necessary, tasks or helping you to get your team on the same page, it's reasonable to believe you'd be interested. Let's take a closer look at some of the latest productivity-boosting apps on the market and learn more about how they can help overtaxed entrepreneurs regain two of the most valuable commodities -- time and sanity. How it helps entrepreneurs: If you've ever seen a "wall of text" email and silently groaned, you're not alone. 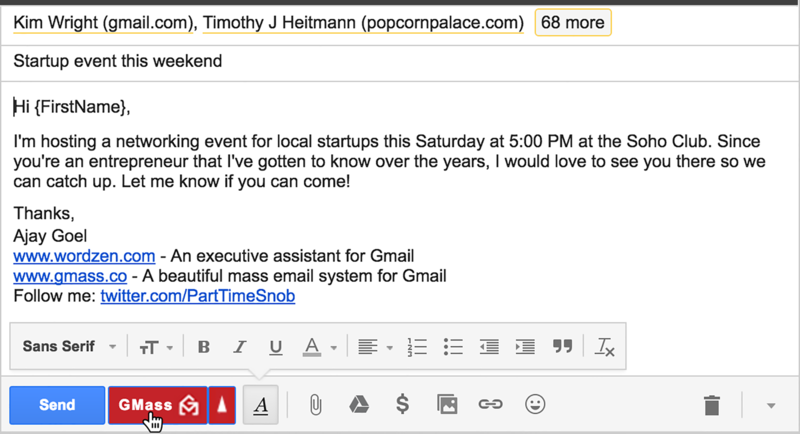 No one likes getting ridiculously long emails, but sometimes an email has to be long to get your point across, right? Not anymore. 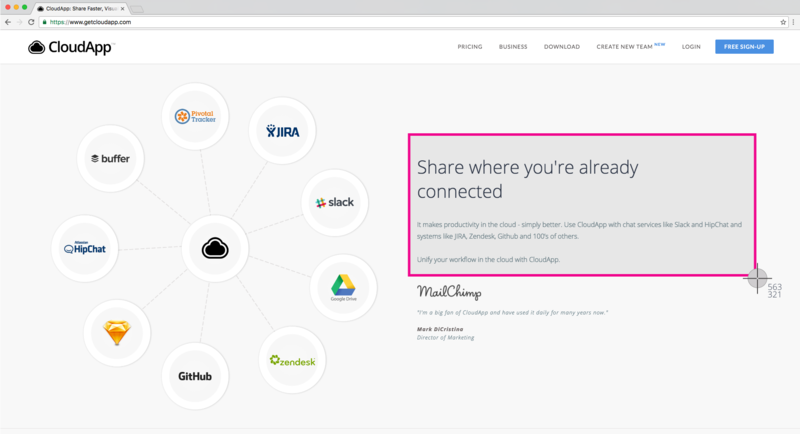 With CloudApp, you can quickly and easily capture anything on your computer -- a file, image, screenshot or even an HD screen recording giving verbal and visual instructions on an upcoming project. You can share them through a short link, completely obliterating the need to type a lengthy email or load a cumbersome attachment. You can keep unauthorized users from inadvertently accessing your content by adding password protection. And you can determine if your recipient has viewed or shared your link, courtesy of the app's built-in analytics. How it helps entrepreneurs: If you're feeling frustrated because you know you have the information/research/data somewhere in your files but can't remember exactly where it is, you're not alone. According to SINTEF, 90 percent of the world's data has been created in the last two years and 62 percent of professionals say that their work quality suffers because they can't sort information fast enough. Sorc'd helps entrepreneurs quickly pull together pitch decks, investor decks and competitive research. 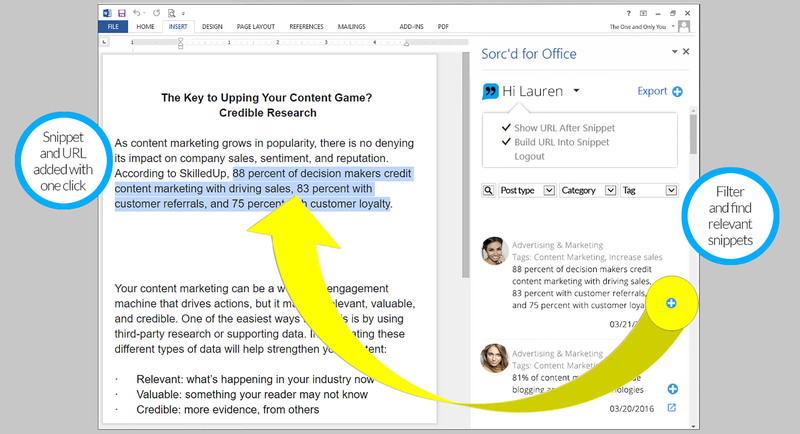 By letting you easily gather, store, organize and get back to the source of snippets of online content you find interesting, Sorc'd lets you spend more time building and selling and less time searching and re-searching for information. Integration with Google Docs and Microsoft Office makes it easy to add Sorc'd information to your report, memo, spreadsheet or presentation. How it helps entrepreneurs: An app designed for entrepreneurs who make a living one appointment at a time, Timely is more than just your standard appointment scheduling app. Timely lets you manage your entire business while allowing customers to directly schedule appointments. 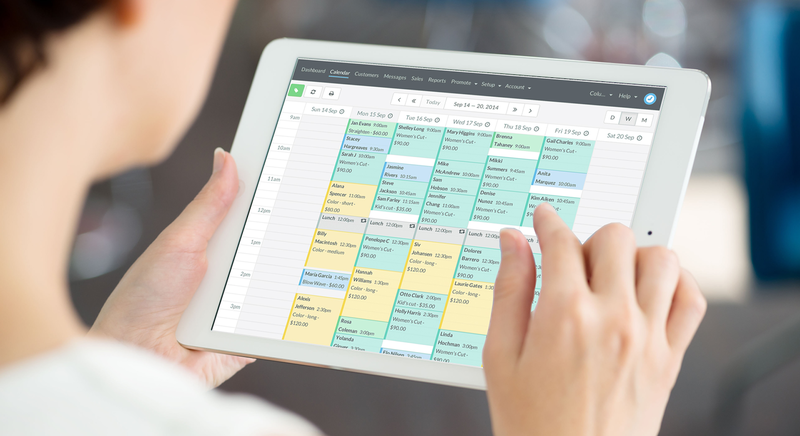 Owners of small businesses such as salons and fitness professionals can manage their schedules via Timely's mobile app or add online booking options to their websites and Facebook pages. It's a great way to cut down on the time spent on administrative tasks that can clog any entrepreneur's to-do list, while helping you better connect with customers wherever, and whenever, is convenient for them. How it helps entrepreneurs: The old adage, "It's not what you know, it's who you know," still holds true in the increasingly tech savvy business world. Entro aims to make the "who you know" part a bit easier by taking some of the awkwardness out of first-time introductions between colleagues and making it easy for you to add value to those around you. Entro automates much of the introduction process so everybody feels comfortable. Simply choose two colleagues you'd like to introduce and tell them why you think they should connect; they'll be presented with quick links to each other's online profiles as well as the option to opt-out of an introduction if it isn't a good fit or it isn't a good time. If you're looking to enhance your networking efforts and perhaps generate a few introductions of your own, take the time to check out Entro. How it helps entrepreneurs: Every day, we generate tons of new files -- from proposals for prospective clients to invoices to the deliverables that make up the crux of our business. Managing all of these files on our computers is becoming more difficult. 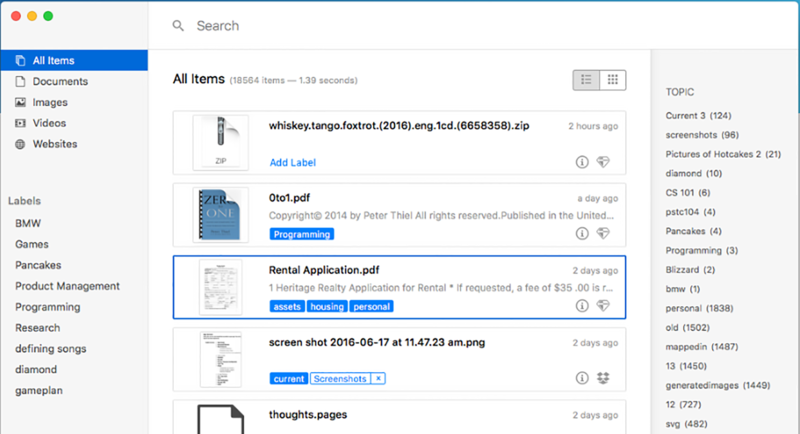 For entrepreneurs using Mac-based systems, Diamond aims to help by analyzing the content of your files, then automatically suggesting where to store them. Additionally, the app includes a powerful search engine that allows you to easily drill down into your computer files, saved websites and even iPhone documents, to find just what you need quickly. How it helps entrepreneurs: From Google Drive and Dropbox to Evernote and Box, cloud storage is a ubiquitous part of most entrepreneurs' lives. Mohiomap expands the boundaries of how entrepreneurs can visualize and interact with that content. Shifting from a one-dimensional folder structure to an interactive visual mindmap-like display, Mohiomap lets you see things in context, allowing you to identify patterns and save time by interacting with all of your documents in a single location rather than forcing you to switch between platforms to access different folders and documents. You can store, move, manage and edit notes and documents stored in any connected platform via your Mohiomap. 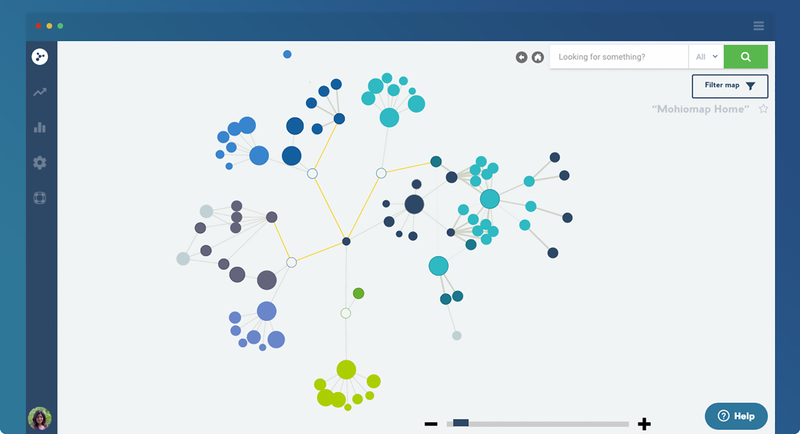 Then use Mohiomap's integrated search tool to uncover visualized connections you never realized existed in your cloud content. How it helps entrepreneurs: If you're looking for an email marketing solution, you've likely found that there's no shortage of options out there -- so many that you may feel overwhelmed by the sheer volume of choices. But many of the available options are intended for much larger businesses with tens or hundreds of thousands of customers. For many entrepreneurs, a solution like GMass makes much more sense. GMass lets you send individual automated email marketing campaigns that keep their personal feel without requiring you to manually type each one. And because it lives right in Gmail, it is the easiest way to send a small- to mid-sized email marketing campaigns. You don't have to log into a separate program -- just log into your email the way you normally do. 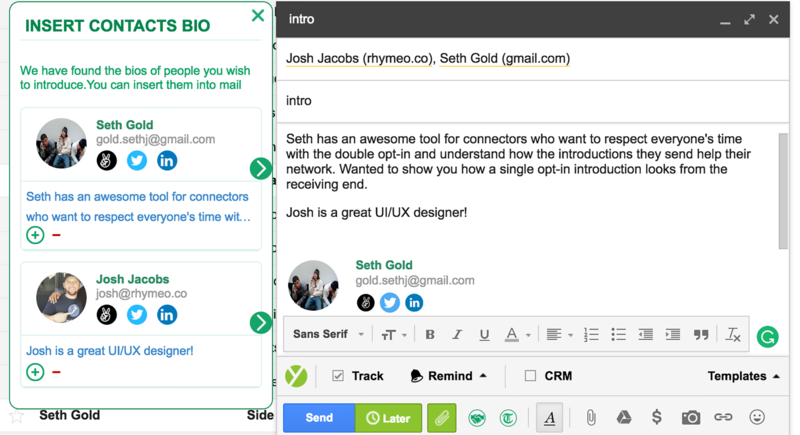 Regardless of whether you want to use it for outbound prospecting to a targeted set of warm leads, send an email announcement to all of your clients or send a personalized email to candidates you're recruiting for an open sales position, GMass offers entrepreneurs an easy, cost-effective solution for email marketing. As long as there are entrepreneurs, there will be other entrepreneurs trying to figure out ways to help them enhance their productivity. And with apps like these, you'll be able to streamline your workflow, communicate more effectively, save time and money and do a better job of selling your business -- all without breaking the bank or completely overhauling the way that you do business.